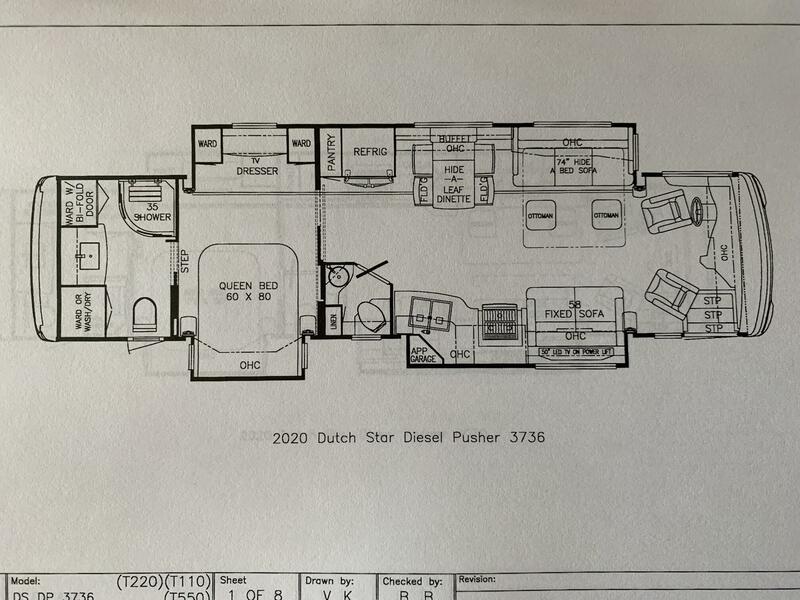 All 12 of the 2019 Dutch Star floor plans are still available for the 2020 model year with modifications to the 2 best-selling 40’ models, making them better. 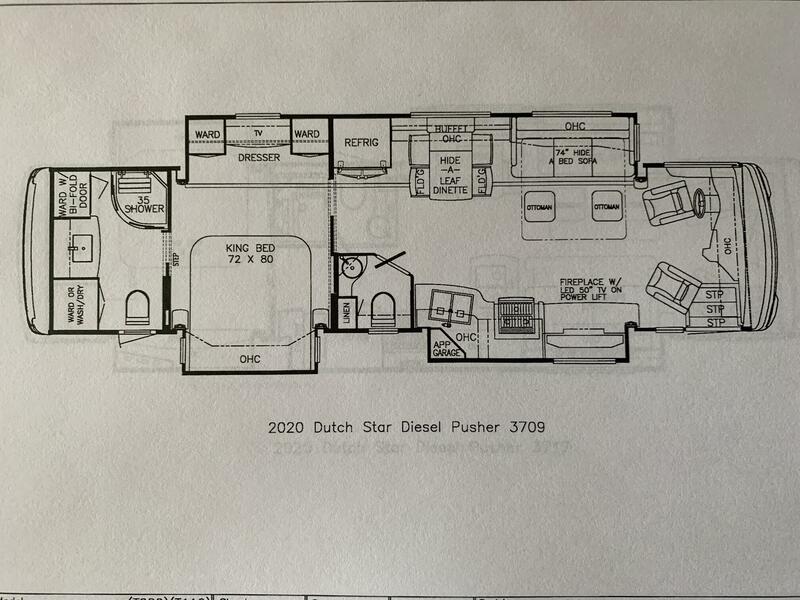 Both rear master bathrooms of the 4002 and 4018 Dutch Star have been improved by rearranging the layout and creating a larger 40” X 30” glass enclosed residential shower instead of the 35” radius shower. In doing so, the door side sofa in the front living area is resized from 74” to 68” in length. 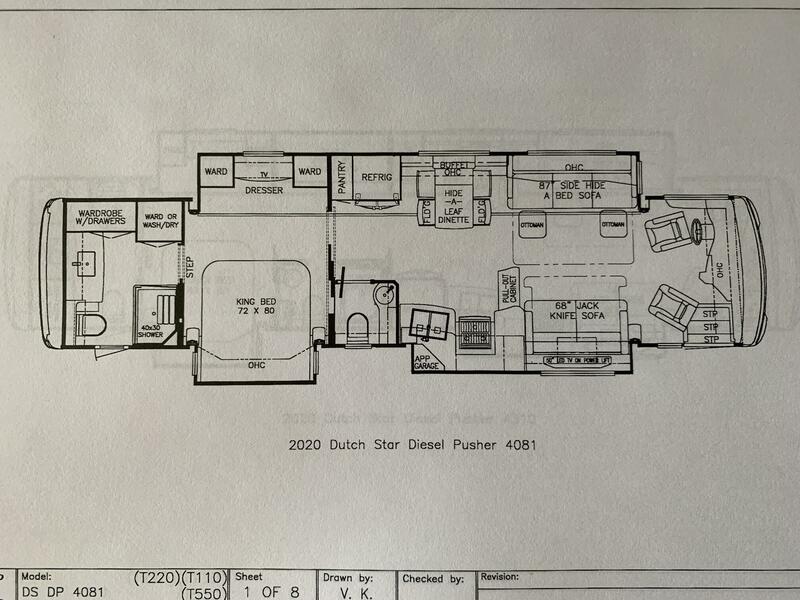 As a result, the 4002 Dutch Star has been renamed to the 4020 for the 2020 model year. Similarly, the Dutch Star 4018 is called the 4081 for the new model year. 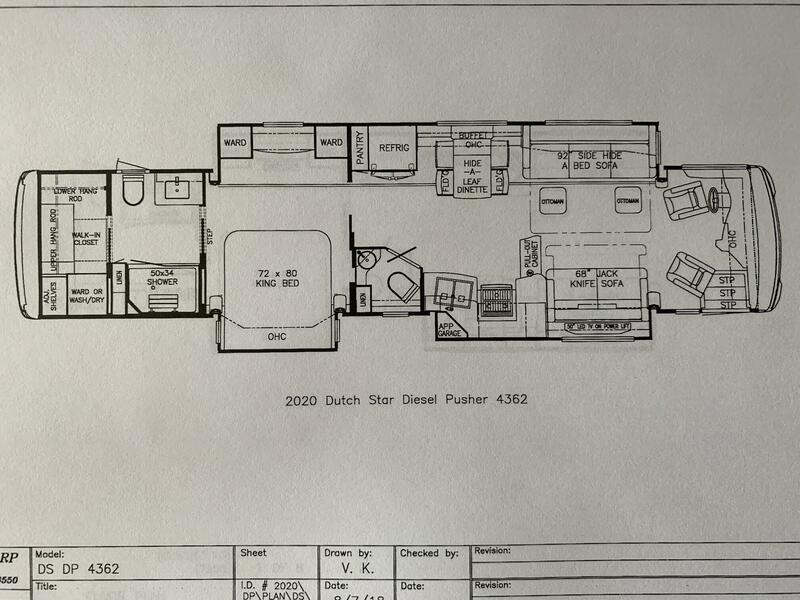 Dutch Star 3709: This very popular full wall slide, bath and a half model with king bed Ventana model has been added to the Dutch Star line up for 2020. 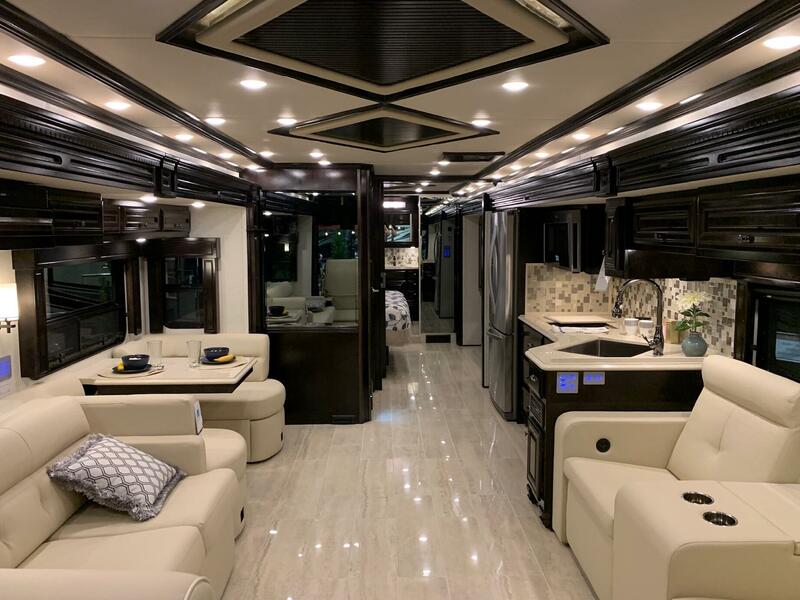 The front living area offers a 74” hide-a-bed sofa with ottomans, dining area, refrigerator and pantry on the off door side. 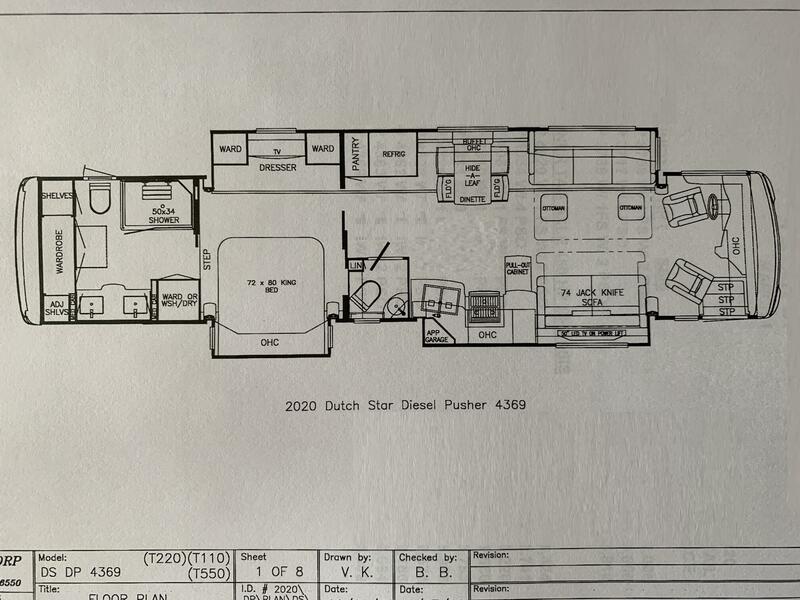 On the door side, this floor plan offers a cabinet with fireplace and “televator”, as well as the roomy and functional galley and enclosed half bathroom. 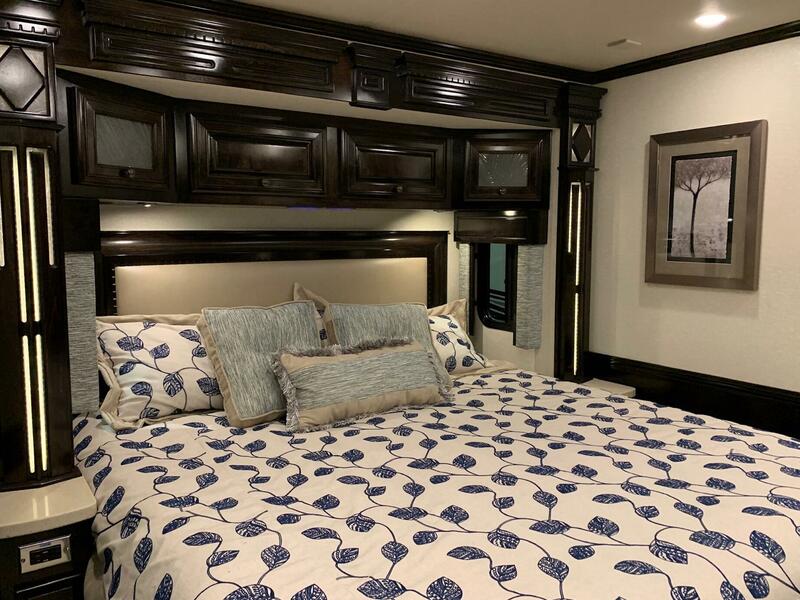 The master bedroom features a king bed across from which rests 2 shirt wardrobes, dresser and a 43” Samsung 4K television. 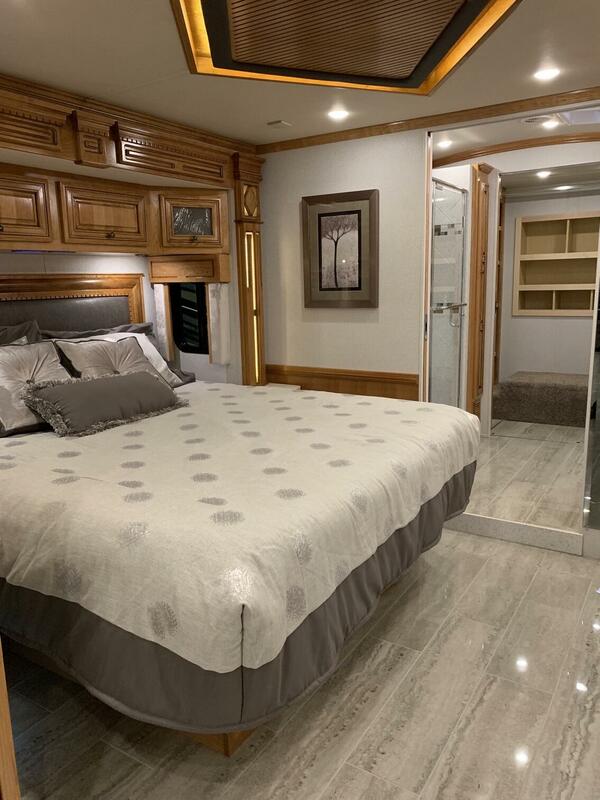 The master bath area at the rear of the 3709 offers a 35” radius shower, large vanity and two wardrobes one of which can house the optional 2-piece washer and dryer. 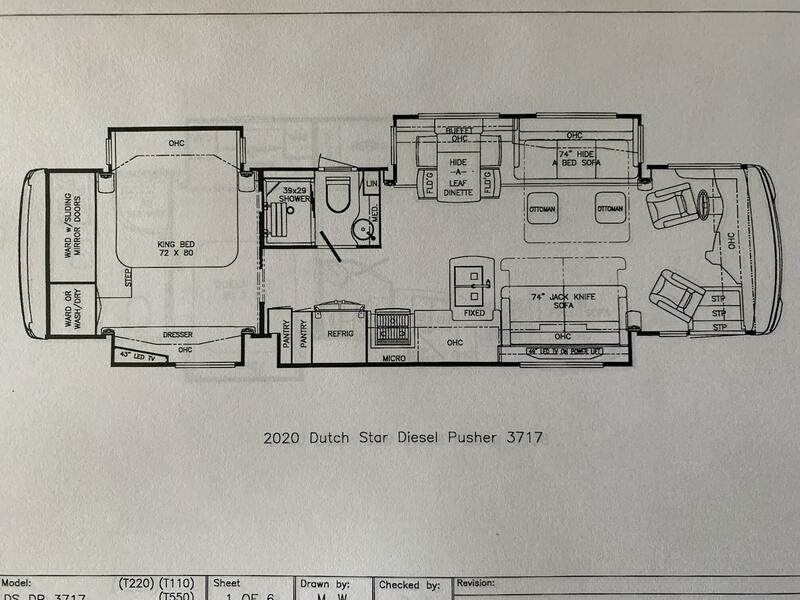 Two 15,000 BTU air conditioners with heat pumps are standard on the 37’ and 40’ 2020 Dutch Star models (2019 option H187 made standard). The 2020 Dutch Star will feature Samsung brand televisions instead of the Sony brand units offered in 2019. A 43” Samsung 4K television is featured in the bedroom of all 2020 Dutch Stars. Soft close cabinet drawers is a standard feature. 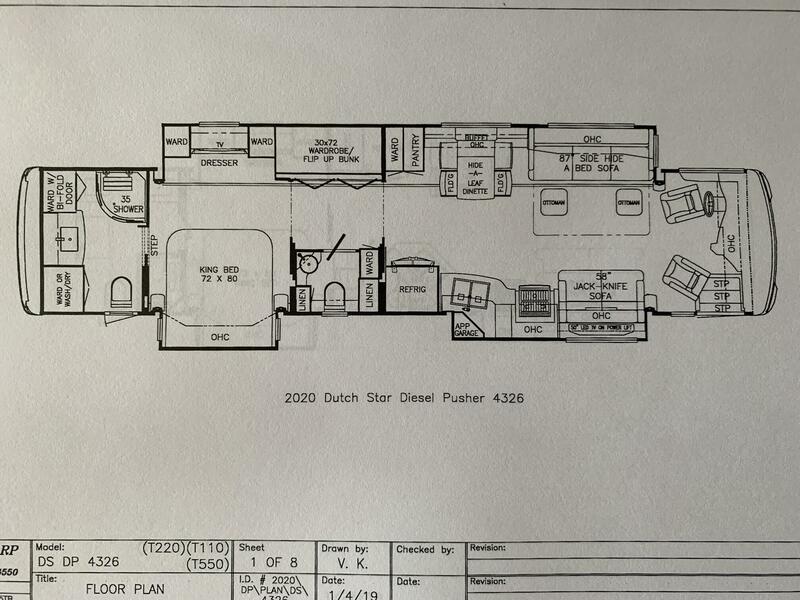 There are travel latches on the pantry doors of the 2020 Dutch Star. The vanity cabinet base in the 4020 and 4081 Dutch Star feature tip out storage. 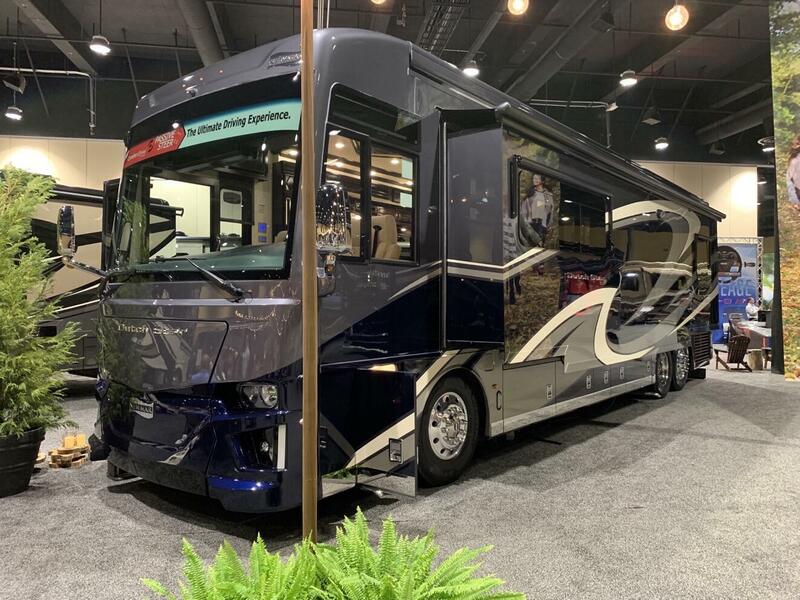 The 2020 Dutch Star features a new steering column and steering wheel on Freightliner chassis. This new design relocates the wiper controls to the turn signal stalk. The transmission controls and engine brake controls have been also been relocated from the driver console to the steering wheel stalk on the Freightliner chassis. The location of these items on the Spartan chassis is unchanged from 2019. 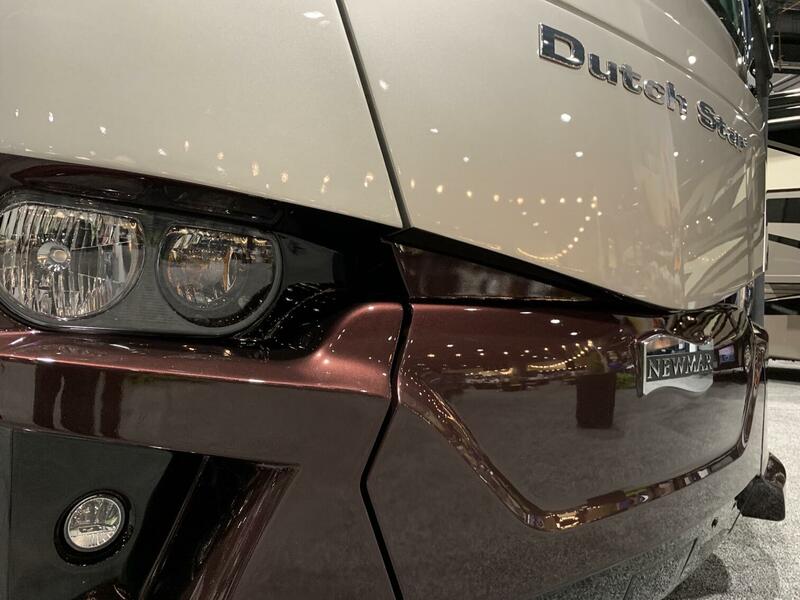 Tire pressure monitoring system, electronic stability control and automatic traction control are standard features on all 2020 Dutch Star models. 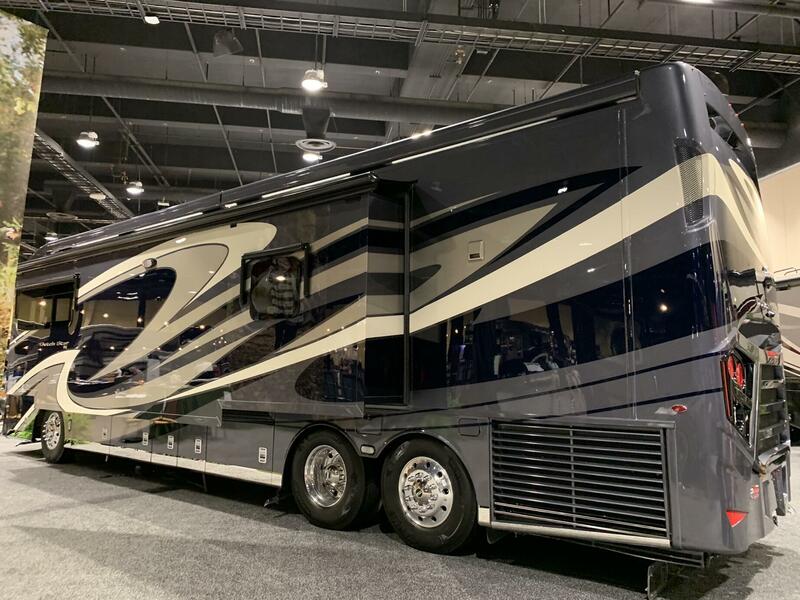 All 2020 Dutch Star chassis (FCCC and Spartan) are prepped for the Onguard collision mitigation and adaptive cruise control systems, as this is an option on Dutch Star for 2020. New wall sconces will be featured in the 2020 Dutch Star. The macerator toilet flush control panel is illuminated for night time use. A new remote switch for the power cord reel has been added at the compartment door (similar to location of power compartment trays. The exterior baggage doors, as well as the fenders, on the 2020 Dutch Star are 2” taller in height. 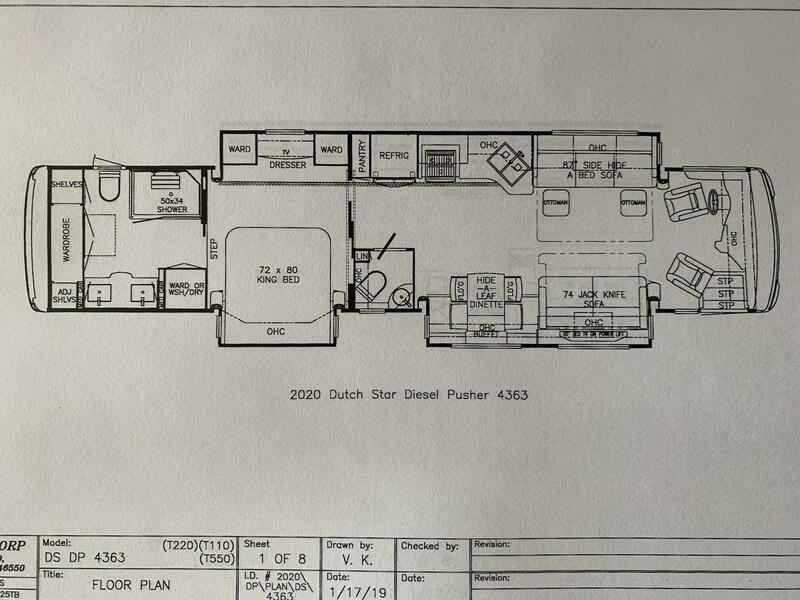 The 2020 Dutch Star also offers new exterior graphics and colors. The front hood of the 2020 Dutch Star uses struts instead of a prop to hold it open. The diesel exhaust fluid (DEF) tank cap is tethered to the DEF fill door on 40’ and 43’ tag axle models. LED strip lighting above the kitchen will extend the lighting above the sofa or dinette in kitchen slides. 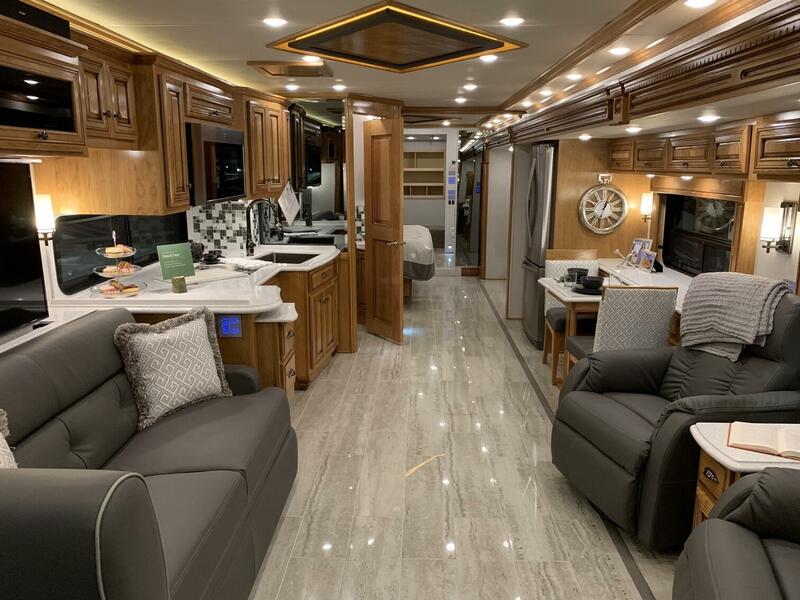 Some of the interior decors are new for the 2020 Dutch Star. 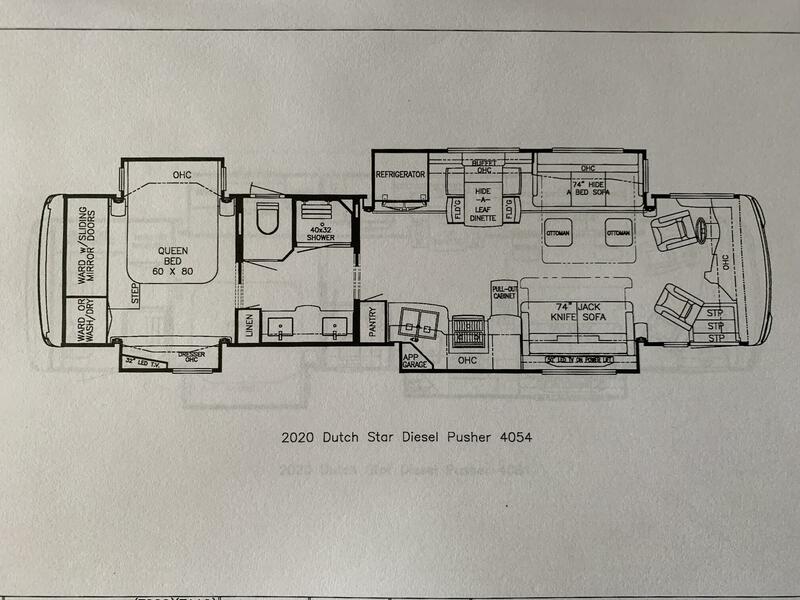 Four (4) interior décor packages (in lieu of 3) are available on Dutch Star for 2020. 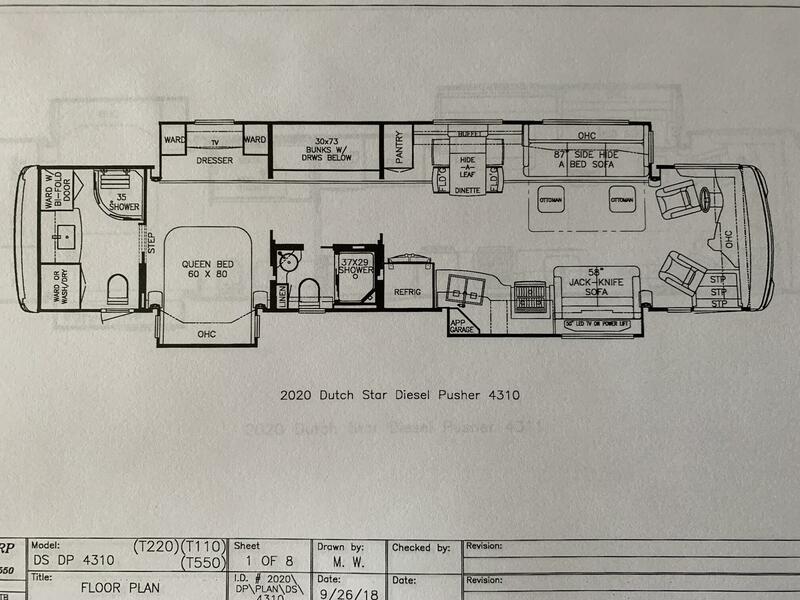 New art work, dash colors and newly designed feature ceiling are all highlights inside the 2020 Dutch Star. A foot prop was been added in the corner of the shower. This is made from the solid surface material used in the walls of the shower surround. A new enhancement to the shower in the 2020 Dutch Star is the solid surface shower walls with mosaic inserts. 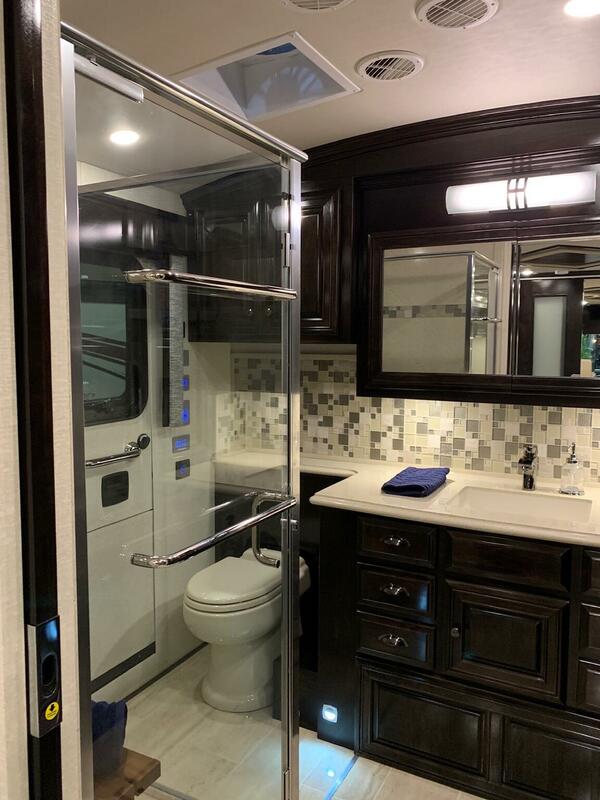 This replaces the Sentrel fiberglass shower walls used in 2019. The Aqua Miser shower system introduced in Dutch Star in 2019 features a new LED indicator light (clear instead of blue) for 2020. A new style of vessel sink replaces the model used in 2019. 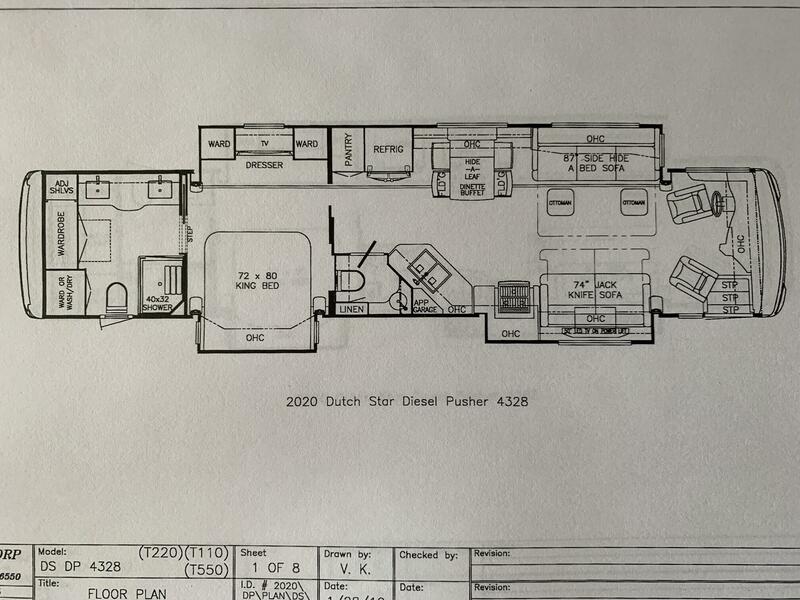 New 40” X 30” size showers are standard in the 4020 and 4081 Dutch Star floor plans. These larger showers replace the 35” radius showers featured in the 4002 and 4018 Dutch Star models in 2019. 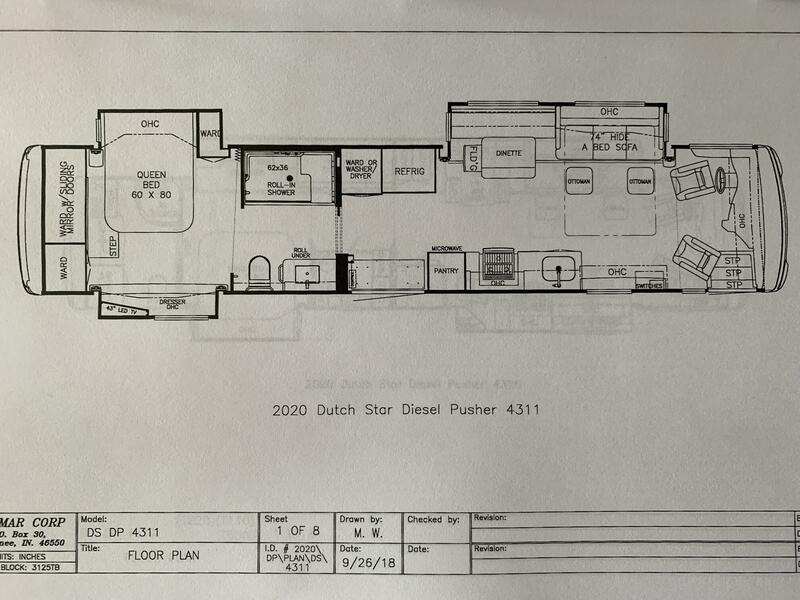 Pass through basement storage is taller by 2” on the 2020 Dutch Star. A universal toll module is a new option available on Dutch Star for 2020. 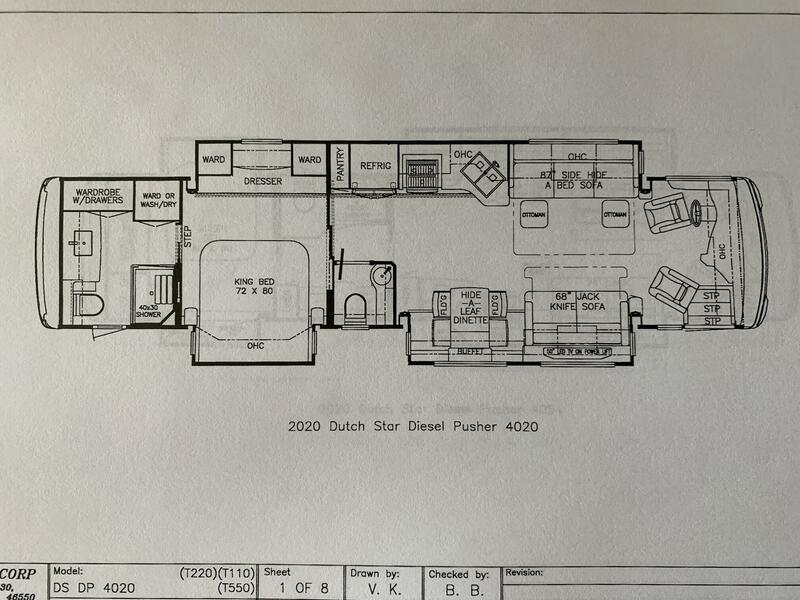 A power slide tray will be available as an option only on the Dutch Star 4311, wheel chair accessible model. The lamp stand used with the optional recliners has been redesigned to provide built in cup holders. The Onguard collision mitigation and adaptive cruise system is available on the 2020 Dutch Star as an option. The option for exterior freezer provides a larger 3.77 cu. ft. model (replaces the 2.8 cu. ft. model used previously). 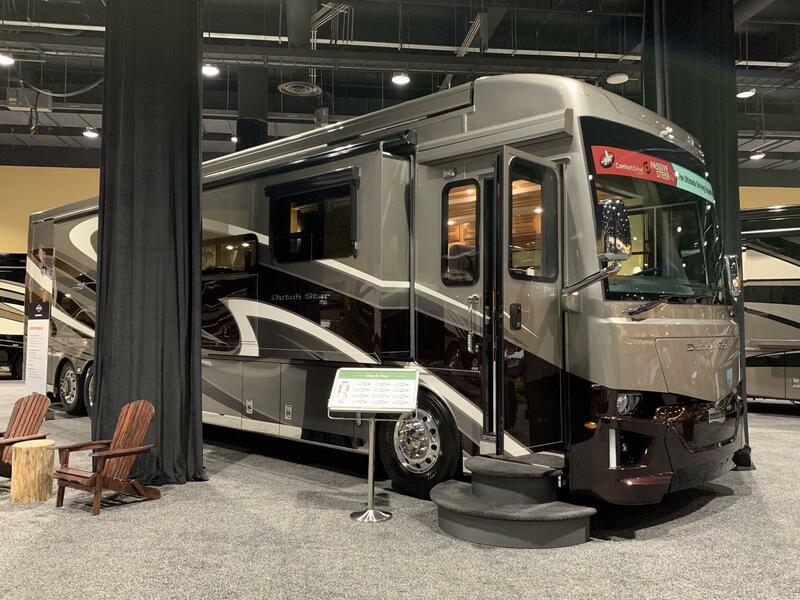 The RV Sanicon option features a new model that is hard plumbed like it has been in Newmar luxury products.